I must admit that the iPad Mini has won me over. I always thought that the screen size would be too small. Surprisingly, the display is plenty big enough to watch and stream movies and when viewing websites. 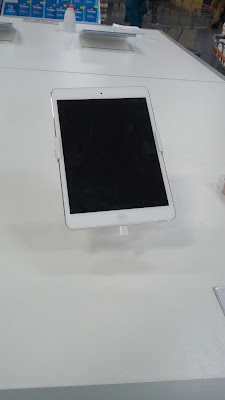 The beauty of the iPad Mini is indeed the size since it is small and compact. I find the bigger iPads (including the iPad Air), to be somewhat unwieldy when I travel. It's a great size to hold in one hand or when I want to go online as I'm in bed trying to fall asleep. Basically, it can do everything you'd expect a tablet will do: read an ebook, play games, watch movies, listen to music, etc. If you're still looking for something similar but at a slightly lower price, then you may want to check out the 8" Samsung Galaxy 4 Tablet instead which is about $100 cheaper. The iPad Mini is light and compact - great for traveling. The iPad Mini lets you surf the web, stream movies, play games, and check email. 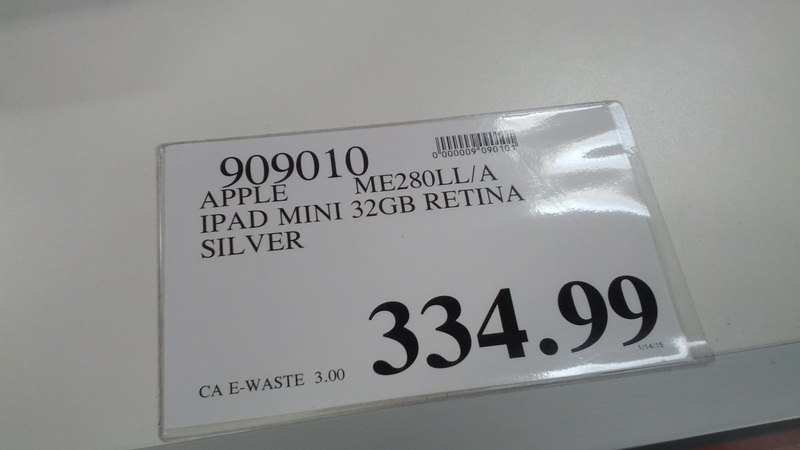 Costco offers a great deal on the Apple iPad Mini. iPad mini with Retina display packs 3.1 million pixels in the 7.9 inch display. 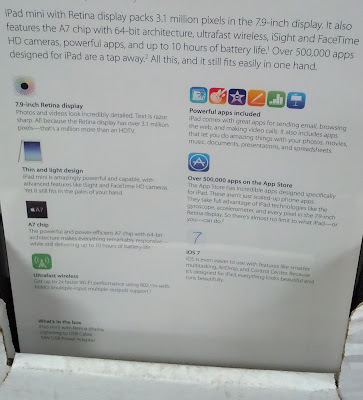 It also features the A7 chip with 64 bit architecture, ultrafast wireless, iSight, and FaceTime HD cameras, powerful apps, and up to 10 hours of battery life. 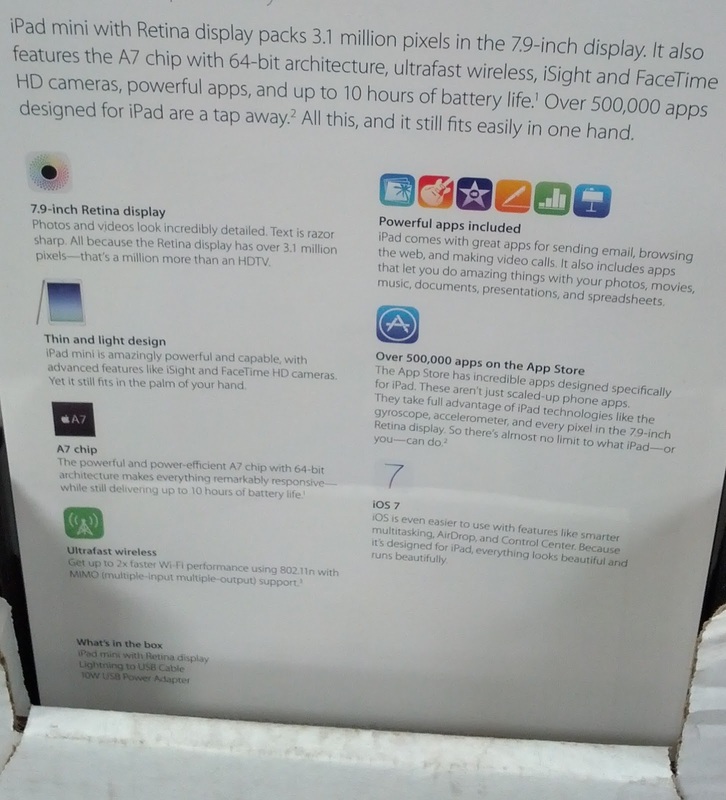 Over 500,000 apps designed for iPad are a tap away. All this, and it still fits easily in one hand.